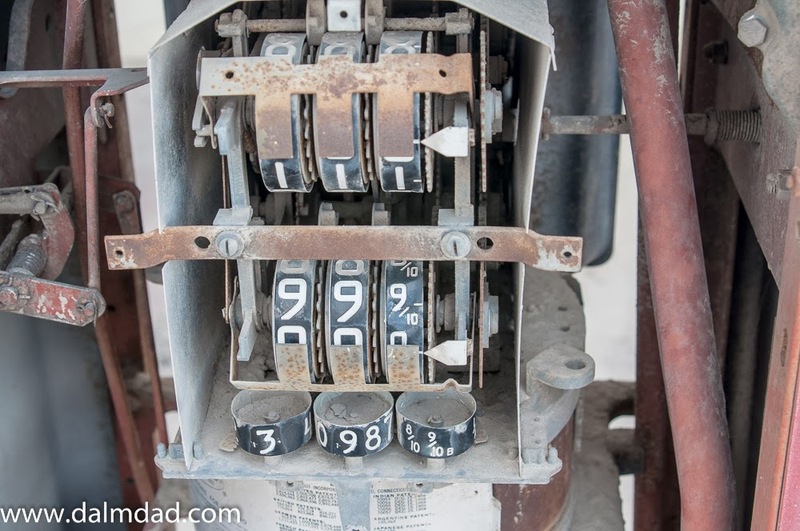 Despite its name, Desert Center, California, is not much the center of anything. 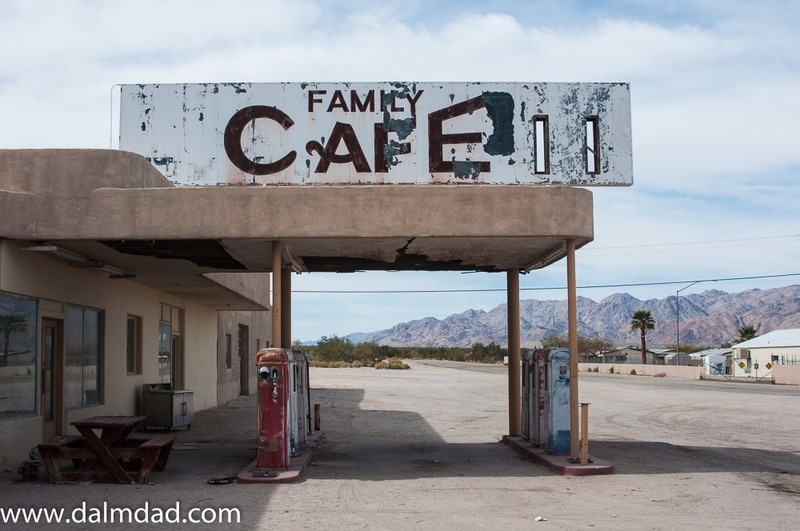 Well, maybe it is the middle of the Colorado Desert, between Indio and Bylthe, CA; but that is about it. 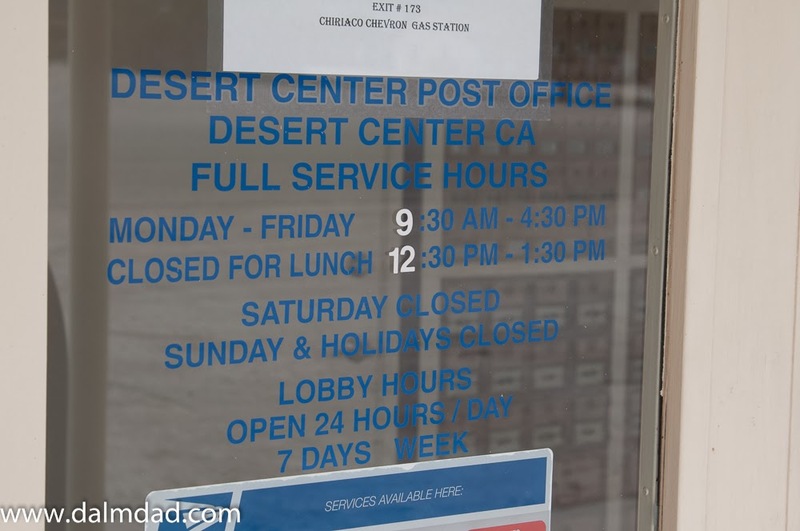 Desert Center's 'downtown' area, located just off the I-10 at CA-177 (Exit 192), is almost completely deserted except for the post office, which as can be seen here, has limited hours. 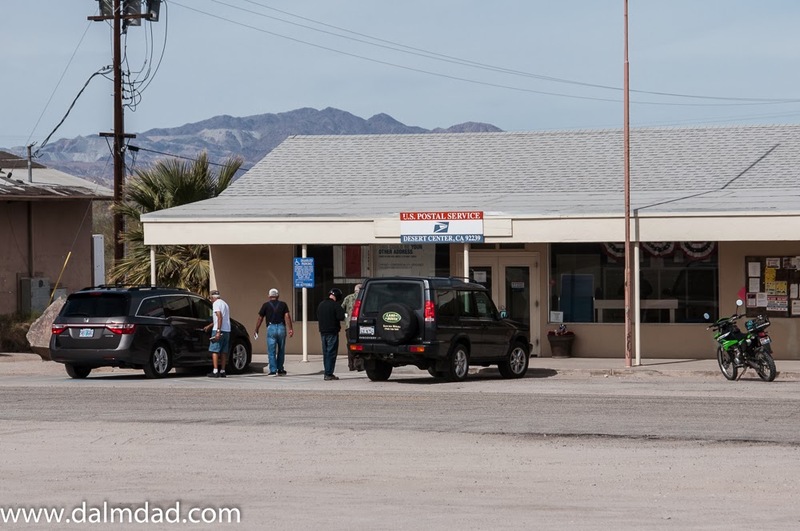 There is also a quiet Caltrans maintenance station, not worthy of photography, a few steps away. 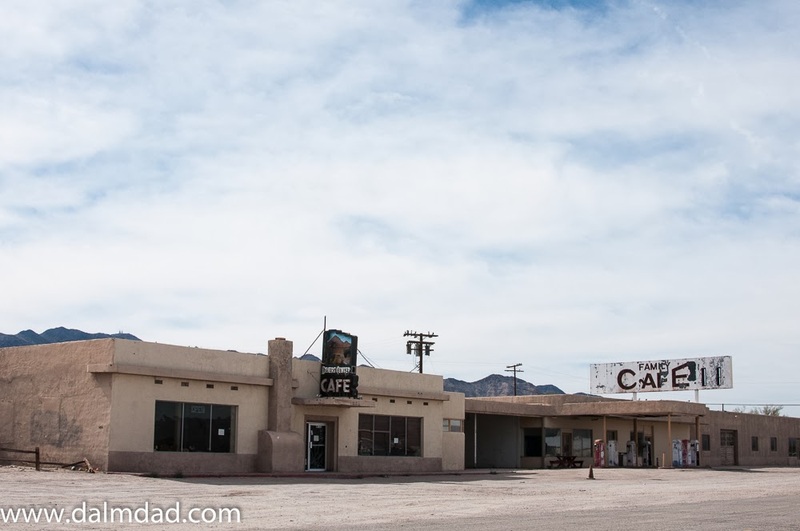 Besides the Caltrans station, there are basically three buildings remaining in the downtown area. 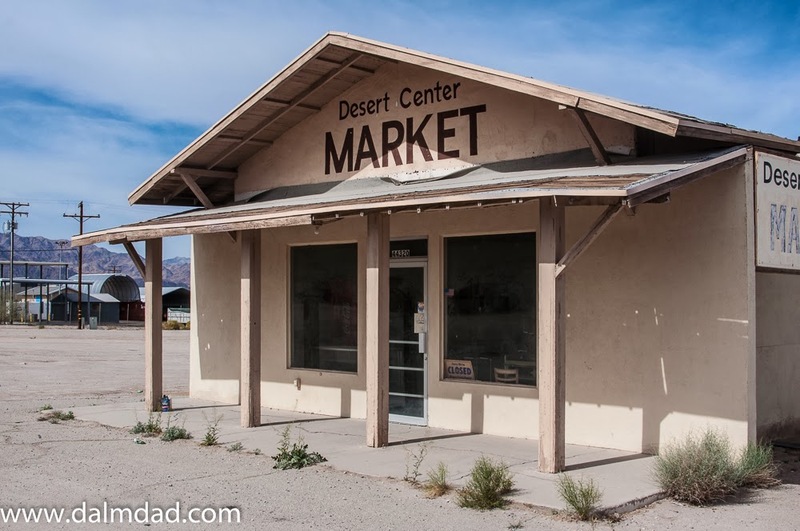 First, there is the Desert Center Market, which despite the relatively fresh looking paint, is deserted and empty. 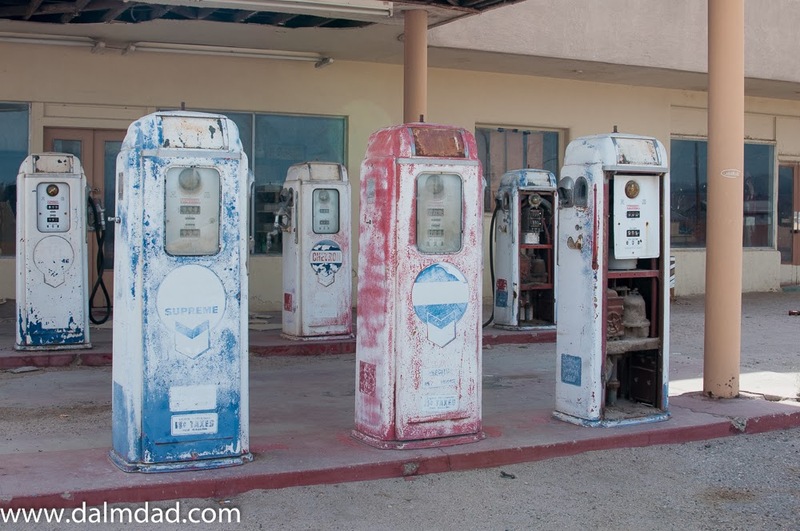 Next, there is the gas station at the intersection of CA-177 and Ragsdale Road, the main street through 'downtown'. 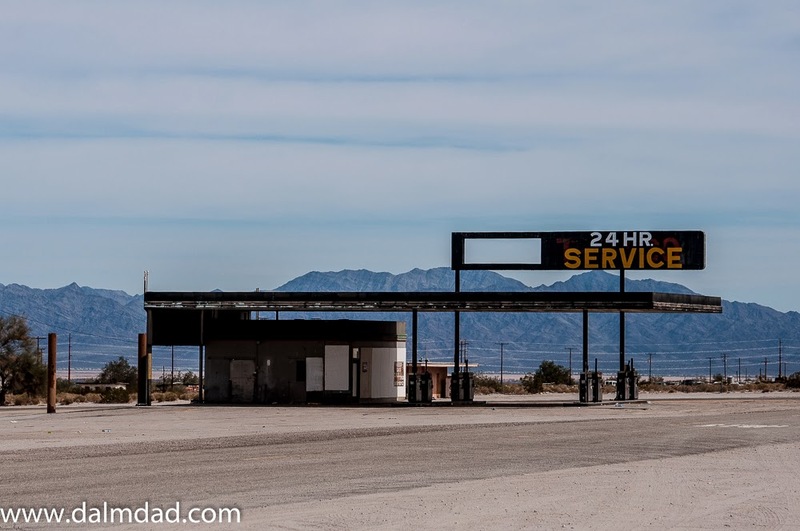 Truckers use this empty gas station and the huge empty lot across the street to take a break and maybe catch a nap. 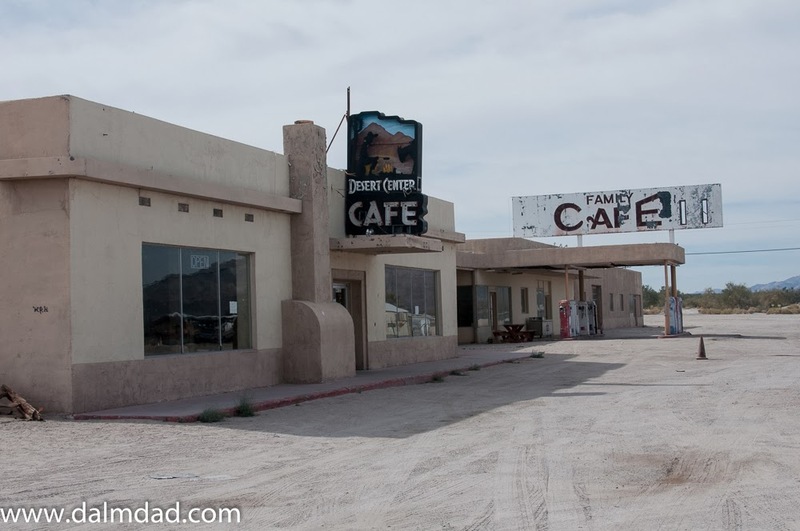 Across the road from the deserted market, is the recently (2012 or so; more to come) closed Desert Center Cafe and an attached gas station that appears to be deserted far longer. These adobe-style, poured concrete, buildings date back to 1921-27 (depending where you read; compare here (1921) with here (1927). 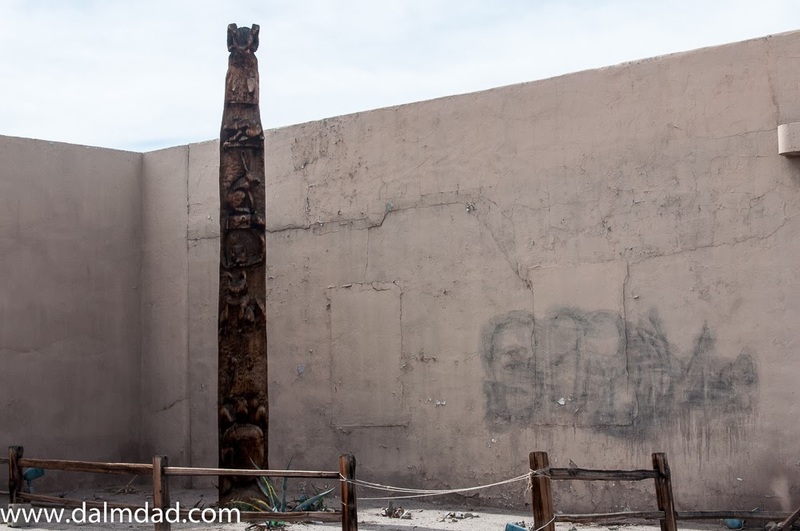 In any event, these buildings date back to the original founding of Desert Center by the Ragsdale family. 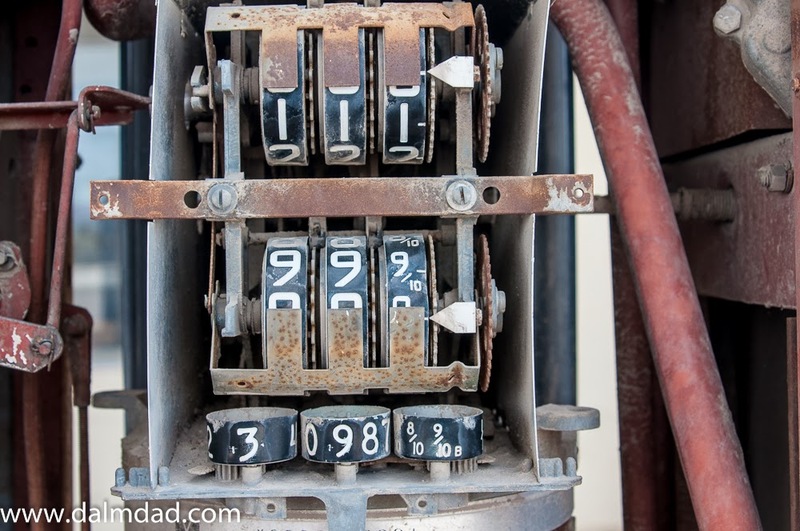 See here for an awesome view of this complex from 1953. 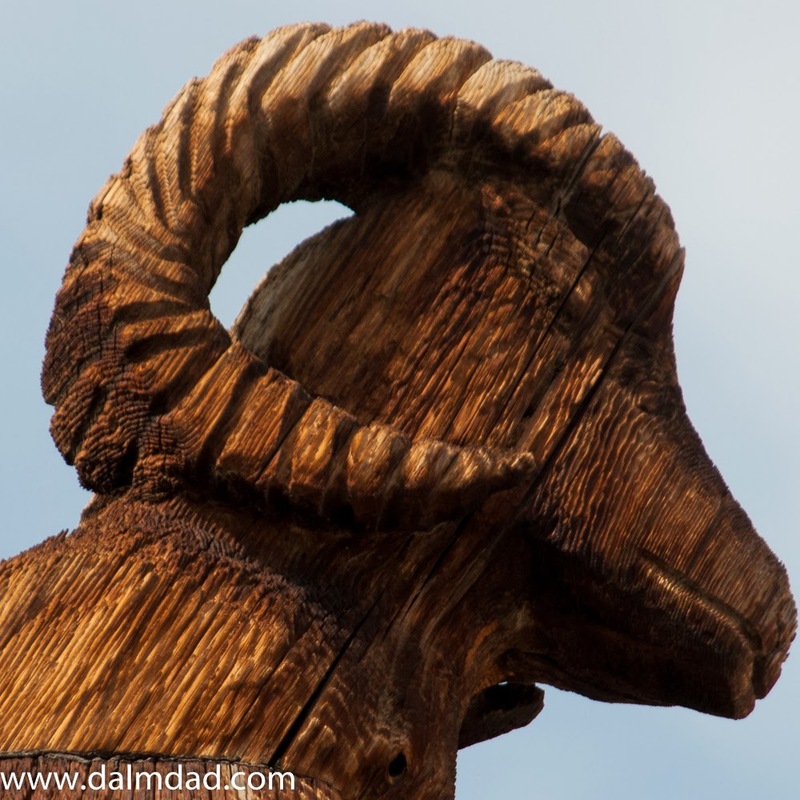 The totem pole depicts different desert animals, with the king of the desert animals, the desert bighorn ram, at its peak. 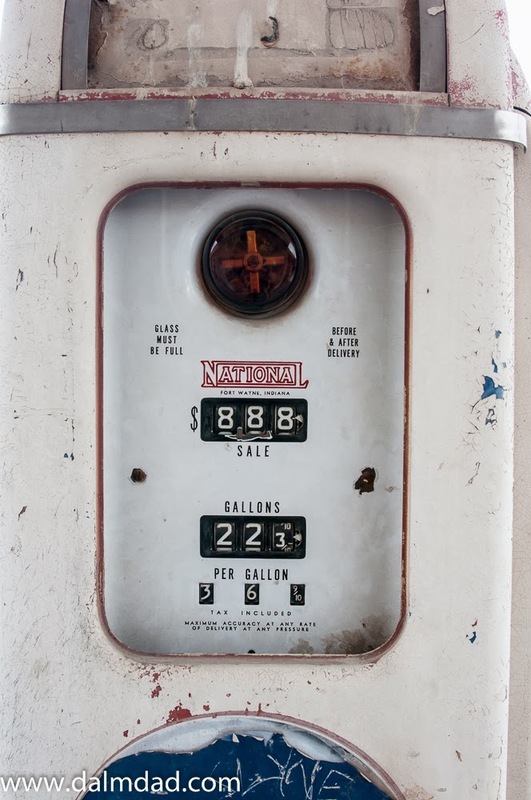 Remember the days when gas pumps did not have a dollar indicator and the pump price had to be doubled? 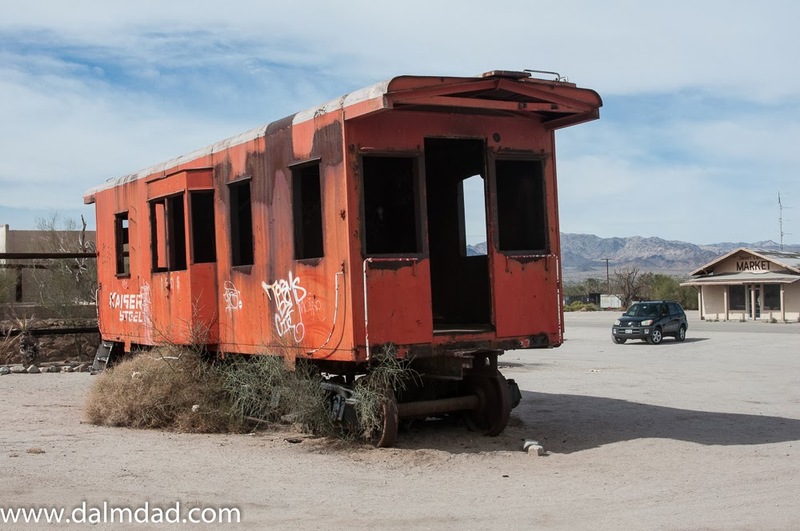 There is also an abandoned caboose sitting near the cafe, across the road from the post office. 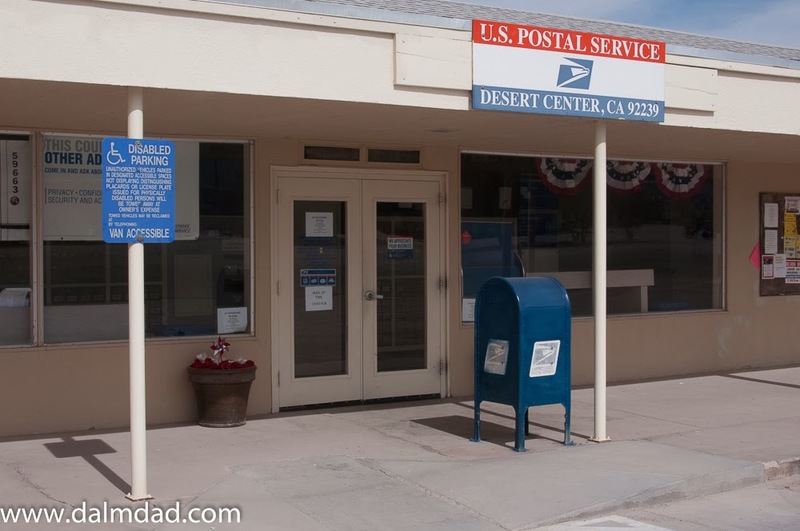 Town meeting at the post office? 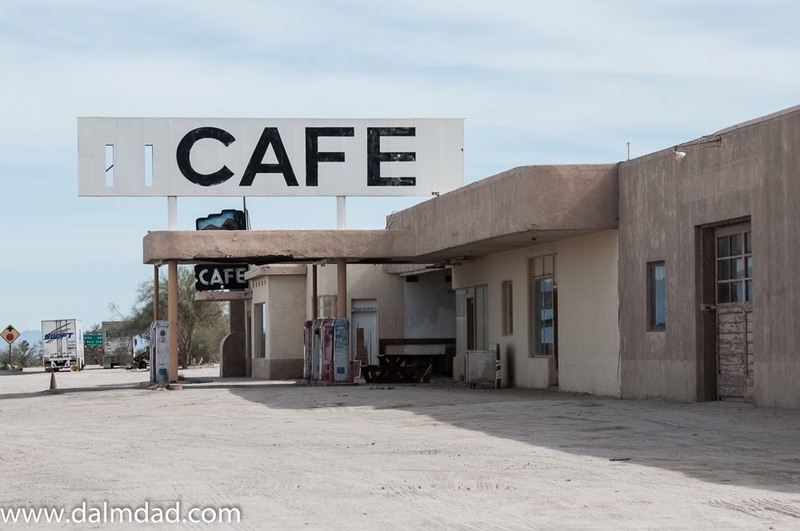 Coming soon...inside the abandoned cafe? 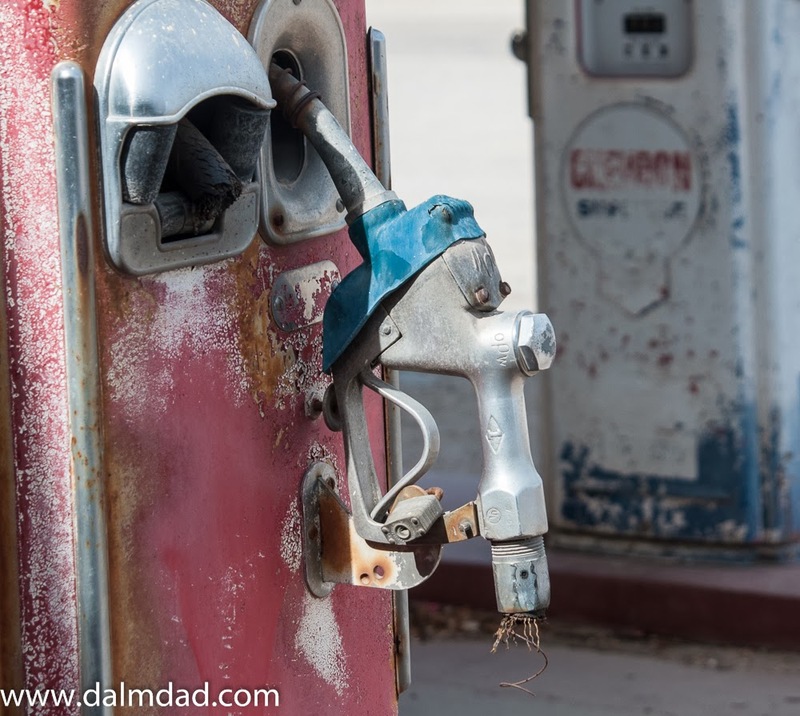 When did the gas station close up for good in Desert Center?